Tactical Gear and Military Clothing News : Sage Dynamics Firearms Training: The Seven Fundmentals of Marksmanship...or are there nine? 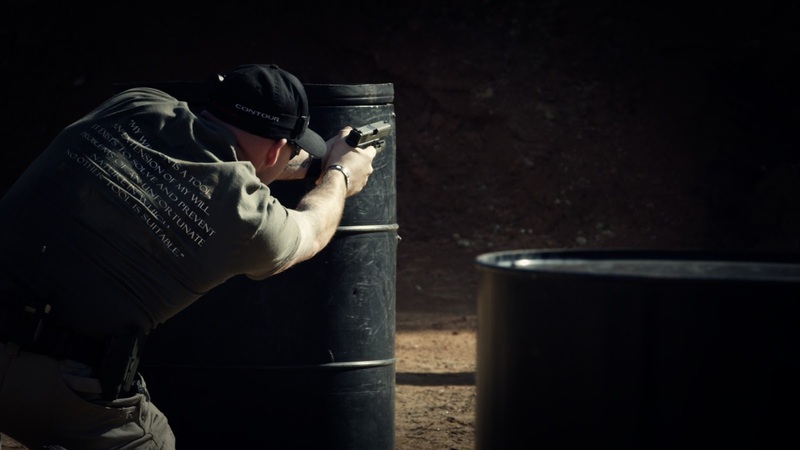 Sage Dynamics Firearms Training: The Seven Fundmentals of Marksmanship...or are there nine? We will be providing a series of articles from the lead instructor at Sage Dynamics, which will provide a wide range of topics from basic skill sets to more advance issues regarding firearms training. Any serious shooter who has received professional training or done their research knows of the fundamentals of marksmanship. The Cardinal Seven are often as repeated and memorized as the four Cardinal Safety Rules. But do these seven fundamentals translate to real life at the basic level? After all, training for self-defense should be as realistic as possible. I’m not a fan of tradition for the sake of tradition and often these fundamentals are explained and taught without a mind towards the actual dynamics of a gunfight at the basic level. The fundamentals of marksmanship remain the bedrock of proper weapons training, but they lack certain factors that I consider to be vital to realistic training. I submit to the reader that a revision is needed. I’m not the first to recognize this, though I may be the first to put it to the general shooting public. I will also provide an explanation of each fundamental as it should be seen with real-life use in mind. Today we will look at the fundamentals in regards to the handgun. The Fundamentals as they apply to real life. 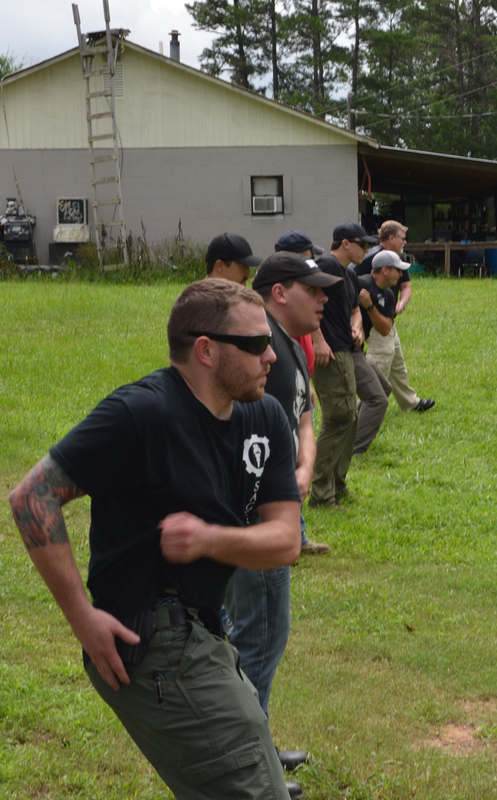 For decades, firearms training has seen stance taught with a static position in mind, as if when your weapon is needed you will have time (or concern) to spread your feet shoulder width apart, bend slightly at the knees and waist (etc) or have the desire to blade your body (nature is going to resist that urge but that’s a different topic). Train with a mind towards movement and nature. Your stance should be a natural position that promotes balance and agility. Want to know what the best stance for you is? Induce a startle response in practice (a sudden surprise from a training partner will help) and then look at your feet and body position. Chances are, this is how you will fight and there is volumes of data to support this fact (see the Burroughs Study and the Westmoreland Study for starters). The grip you establish on the handgun is the grip you are going to have when the fight starts. For handgun; if you carry concealed you need to practice drawing from concealment. This means clearing your cover garment out of the path of your weapon before you can establish your grip. There is no definite technique for this for every body type but there is a basic guide. Clear the garment with your support hand by pulling your shirt/jacket up or pushing it back, or clear with the primary hand by hooking it up with the back of your thumb as you establish your grip. Each technique has its advantages depending on the type of garment worn. The draw should be as mechanically precise as possible; made so by correct repetitious practice. As soon as the muzzle clears the holster, the handgun should rotate towards the threat in the event that a close contact shot is needed. 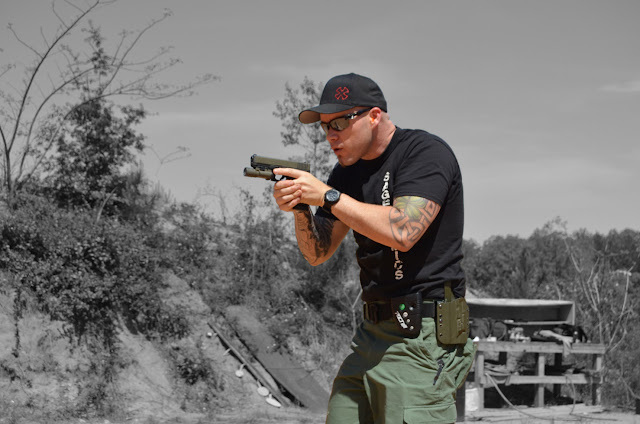 Practice with a mind towards keeping the slide of the handgun away from body contact to prevent malfunctions if fired. 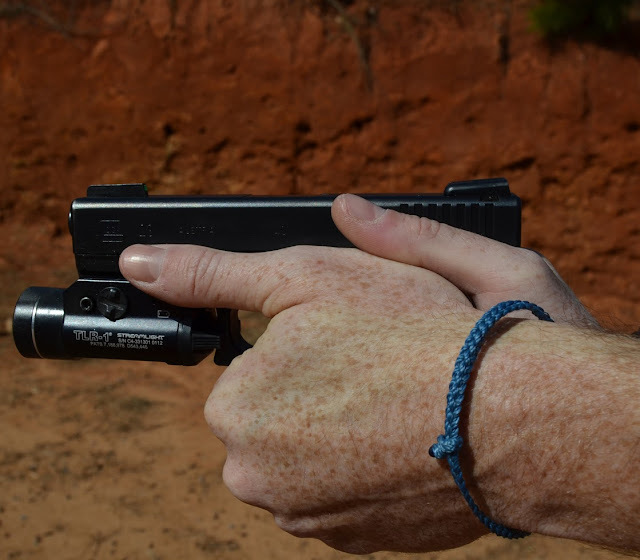 As the handgun is pressed straight out, the support hand meets the weapon as soon as possible to establish correct two-handed control and complete the grip. This fundamental might be new to you but it is vitally important. As you draw, there is dead space between the draw and the first round fired. Train to take a lateral step left or right as you draw. 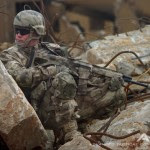 A step forward or rearward may also be acceptable, though keep in mind that you cannot move as fast backwards as you can laterally and a step forwards may only be prudent if moving to cover or if no cover is available and you intend to press your threat. You might not agree with movement but your natural desire to avoid being shot should outweigh any apprehension towards training to move as you draw. Get used to it. Do it. 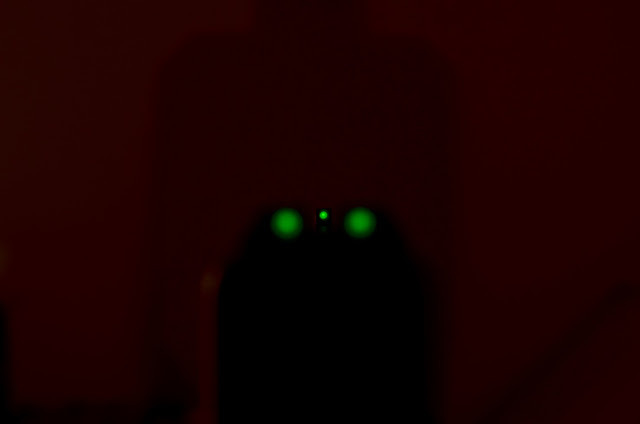 Sight alignment is placing the front sight post in the middle of the rear notch, flush across the top and with equal light on either side of the front sight post. Under stress, sight alignment is difficult. Under the stress that comes from a simulated or real use of force, your conscious ability to establish sight alignment will be nearly non-existent if you don’t practice consistently and often (notice I said “conscious”). Proper repetition against varied size targets at varied differences will assist in establishing sight alignment quickly. The front post should be crisp and in focus, the threat (target) slightly blurry. As we bring the sights to our eyes and align them, the front post is placed center of the target offered or selected, it is in focus, the threat slightly blurry. This sounds fantastic in theory, though the application is different. Many shooters do not “see” their sights in a use of force, or remember seeing them which is functionally the same thing from the science side of things. The reason for this is as your Sympathetic Nervous System activates under threat, your eyes lose the ability to focus on fine detail as your pupils dilate to see the “big picture” and focus on your primary concern (which is the threat). That front sight post is small in regards to your threat. This is where repetitious training comes in to play. Proper practice of sight picture and sight alignment will provide a motor control program that you execute unconsciously as the weapon is raised. Sight alignment and sight picture occur, even if you don’t remember it happening. The only way for the individual shooter to confirm whether they will see their sites under stress or not, is to train under stress. 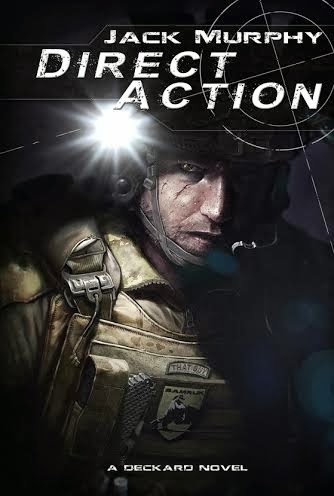 The best training for this is Simunitions, Airsoft may serve as a reasonable substitute if the training is conducted realistically. Straight and even pressure to the rear until the break, riding out until reset in preparation to fire again. The finger maintains constant contact with the trigger until there is no reasonable expectation that you will need to fire in the near future. 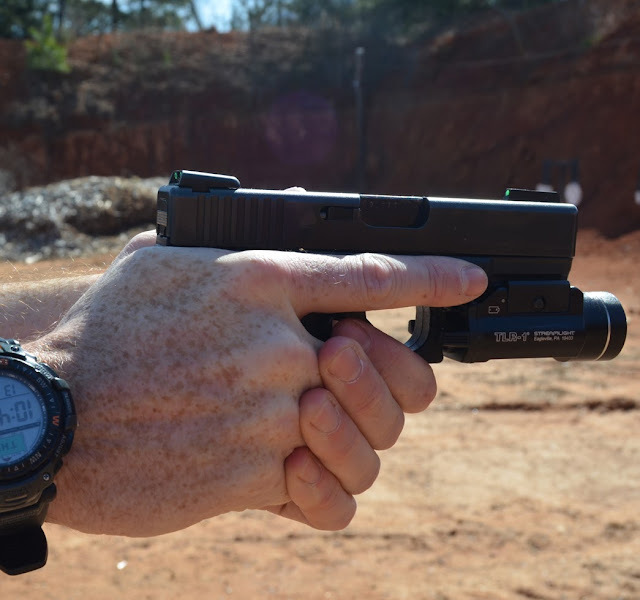 Start with the basics on trigger control and work up to speed. Train to fire as fast as you can accurately fire when practicing (one or two rhythm drills per range session). Pay attention to finger contact as often as possible to avoid slapping the trigger. Avoid set numbers of rounds in training such as “double taps” or “hammer pairs” there is no pre-determined number of rounds that will stop your threat and training on the trigger in this fashion repetitively will form a motor control memory that you are likely to repeat under stress. Be ready to use all of them by practicing random round counts. When training random round counts on stationary targets, visualize the target going down at the end of the string. On the next string of a different round count, do the same. Always visualize the threat going down at the end of your string, maintaining the trigger in preparation to fire again. When it comes to the handgun, this is the least important fundamental. That doesn’t mean you shouldn’t train it. Keeping the other fundamentals in perspective, breathing is of little concern under the conditions for which traditional range practice occurs. When your Sympathetic Nervous System activates under stress, breath rate increases dramatically and in a short period of time. When this occurs, the heaving of the chest to take in air will telegraph to the arms and complicate, to varying degrees, weapon control. Be prepared for this by practicing autogenic breathing. Two second intake, hold for two and out for two. This will aid in relaxing the desire for large amounts of air and help lower your heart rate. 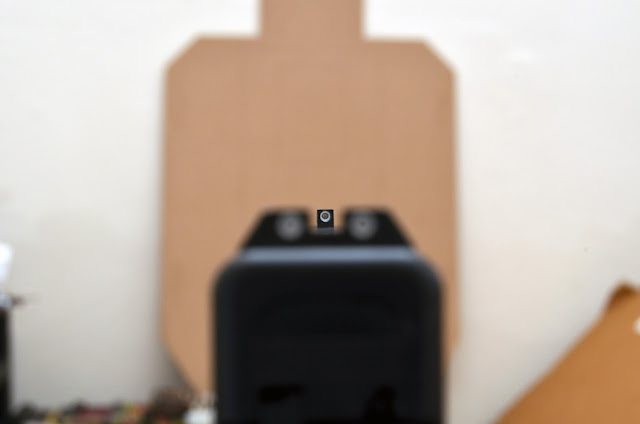 Another technique that can be used under extreme duress when accuracy is critical is a “snap hold.” In this situation, the convulsive tremble from the body under heavy breath intake can be counteracted for a quick, precise shot by holding your breath. This technique is only effective for a second or two before oxygen deprivation increases muscular tremble and cognitive reasoning is affected. As with any other skill, practice it before you depend on it. This fundamental has been referred to as the “silent” fundamental. Referring to it as such marginalizes its importance and is negligent. Follow through is of paramount importance. So what is follow through? It’s a number of steps that take place as the threat goes down. The first and perhaps most important step is to establish a “final” sight picture. As an example, if you fire four rounds, you should have five sight pictures, following the threat to the deck in expectation of delivering additional fire if necessary. Remember that we move on the draw? Well, we move on follow through as well. As you follow the threat to the deck, move off line in a direction of cover if possible. If already behind cover, change your positioning by standing (if prudent) or kneeling (if prudent) so long as you can maintain visual contact with the threat. When you are reasonably sure that the threat is incapacitated, pull the weapon back and down to clear your visual horizon and break tunnel vision, this opens up the world and gets your senses back to seeing and “seeing” the world around you. 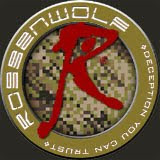 Now scan; a full 360 degree scan to check for additional threats and to check your general position. Move again (if prudent) and return your attention to the threat. Proper follow through should be done as fast as you can consciously take in the environment. If time permits, tactical reload. If additional lethal threats present, deliver quality service and repeat as necessary. This is a brief look at the Nine Fundamentals of Marksmanship as they apply to real life. Some may say that Movement and Follow-through have nothing to do with the core fundamentals and I would say again, that this is faulty thinking. We train for self-defense in mind. The fundamentals of self-defense must begin with realistic gunfighting in mind at the most basic level. Train accordingly.